Here are the ways in which eggs positively impact the body. The recommended serving is one or two eggs per day. The "fat" in fatty acids are a good thing. The human body needs 11 essential fatty acids to maintain good health, but the body to get these from food. 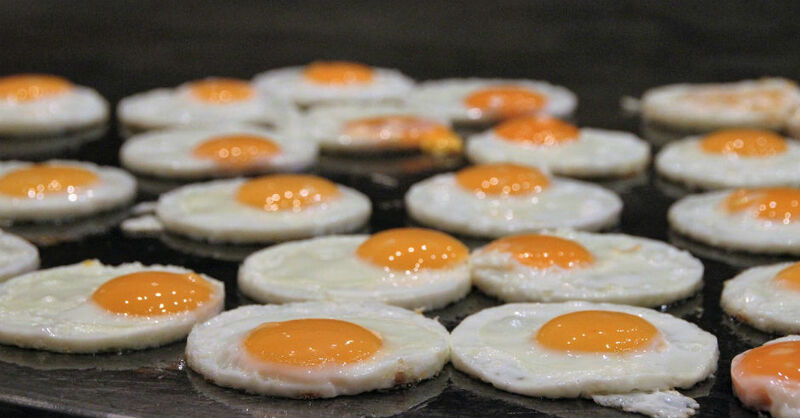 Eggs contain 9 of the 11 essential fatty acids. Eggs contain the antioxidants lutein and zeaxanthin. Antioxidants help the immune system do its job. Antioxidants are also thought to assist in fighting cancer and maintain eye health. Eggs also contain selenium which also aids the immune system. Eggs are one of few natural sources of Vitamin B-12. This vitamin is important not only to maintain energy but to keep the skin and liver healthy. There is also evidence that it supports the ability to learn, remember and concentrate. Eggs also contain Vitamin D. They are one of the richest natural sources of Vitamin D along with sunlight. This vitamin helps calcium work to keep bones and teeth strong. All these benefits combined together make eggs one of the better foods for both your brain and body.